There I am in front of our boat house. I’m standing on a pile of well-packed snow on top of Great Pond. Walking on water! I’m not sure if this experience makes my faith any stronger, but life in church is a challenge at this time of year– this winter especially. It feels like it snows just about every other day. Our driveway feels like a tunnel, with its tall banks of snow on both sides. And, it’s cold. For the next week, the highest temperature is predicted to be on Tuesday, when it should reach a balmy high of 27! We’ll be dreaming of 27 next Saturday, when the predicted high is 8. Yes, 8 lonely degrees. At church, the weather is getting to be a problem. It begins to take a toll on people, on their bodies and spirits. There are a few who end up staying away from worship, and other church activities. It’s too cold, too slippery. There’s snow everywhere. Travel can be dangerous, as snow coats roads and snow banks pile up at every intersection. For those who do make it to worship, it’s a cheery and warm environment, a celebration of the brave and hearty. 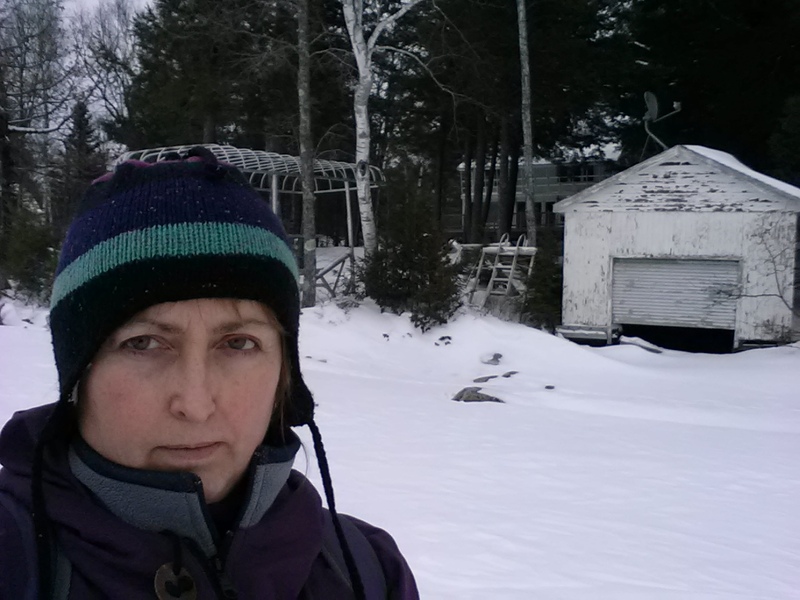 We share stories of our latest snow adventures, mostly having to do with snow removal and the occasional furnace failure. Like other Maine mainline churches, Old South is a church mostly of older people. Maine in general is a state of older people (Maine has the highest median age of any state in the U.S.). So, it’s a challenge to be a church in winter, where many of our worshippers have a hard enough time getting around when there’s no snow at all. In the cold of winter, walking on (frozen) water is not so impressive a feat, but living as people of faith in this harsh climate can seem something along the lines of impressive, though it seems odd to think in such ways. It’s not just the weather that provides an inhospitable climate, but the cultural and community climate as well– and that’s not just a seasonal problem. So despite our aging population and the declining number of Christians, we walk on our own walk of faith, bravely trying to follow where Christ is leading us, even when it’s a cold, lonely business.